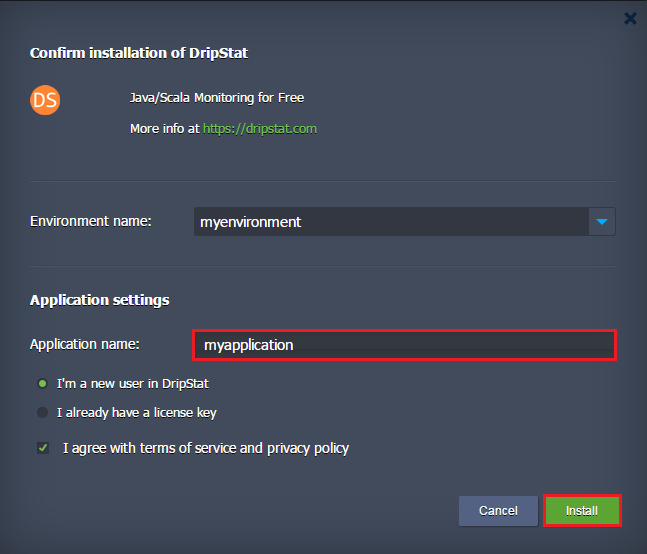 Prashant Deva, the CTO of Chronon Systems and Chief Dripper, shared with us an easy way to install DripStat addon on Jelastic Cloud. DripStat is a cool new way to monitor and look inside your running Java apps and automatically track exceptions. 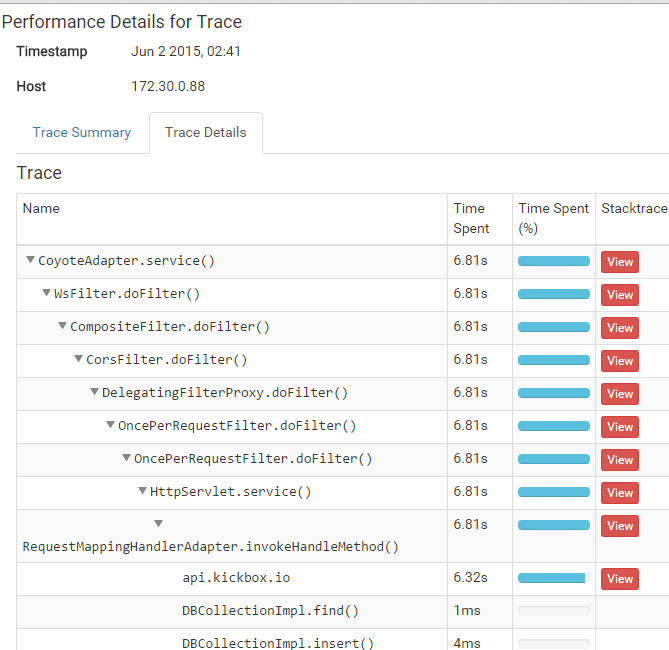 Jelastic users can enable DripStat monitoring on their Java apps with just a few clicks. If you haven’t created an environment, you can do this by logging into your Jelastic account and select the corresponding button at the top left corner of your dashboard. 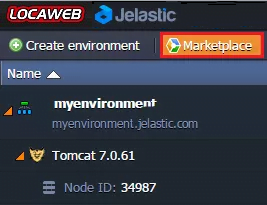 Once you have an environment up and running in Jelastic, click the Marketplace button on the dashboard. In the dialog that pops up, select your environment. Give it an Application Name by which it will appear in DripStat. Check I am a new user in DripStat (unless you aren’t) and click Install. After a loading screen for a few moments, you will be shown a box with your login info for DripStat.com. Once you login to DripStat, you will see your Jelastic environment listed as an Application with the name you gave it before. 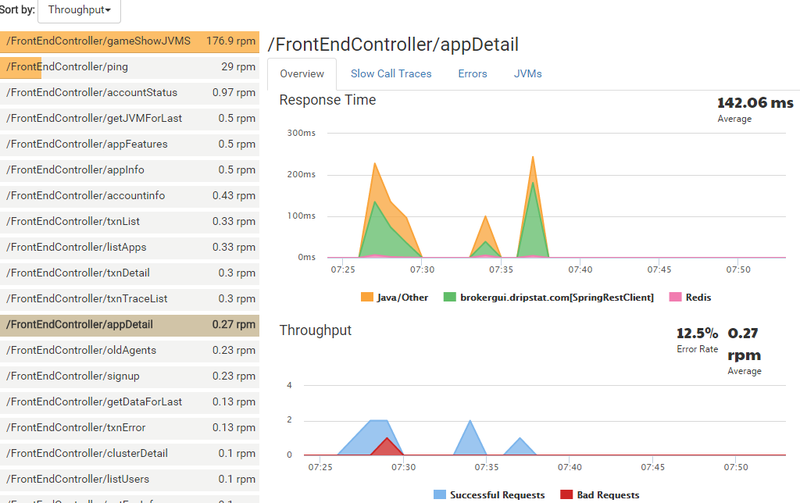 Clicking on it will show you an overview of how your application is performing across all the layers like Java code, Database, External Rest Services, etc. Note that if your environment consists of multiple JVMs, this shows data aggregated across all of them. 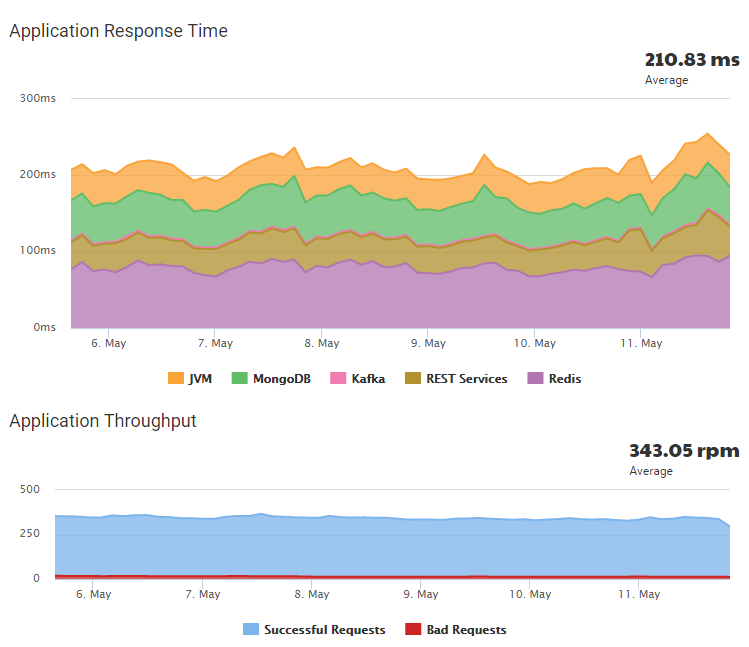 Since Jelastic allows you to dynamically scale your environment size with respect to usage, you can now monitor that as well. 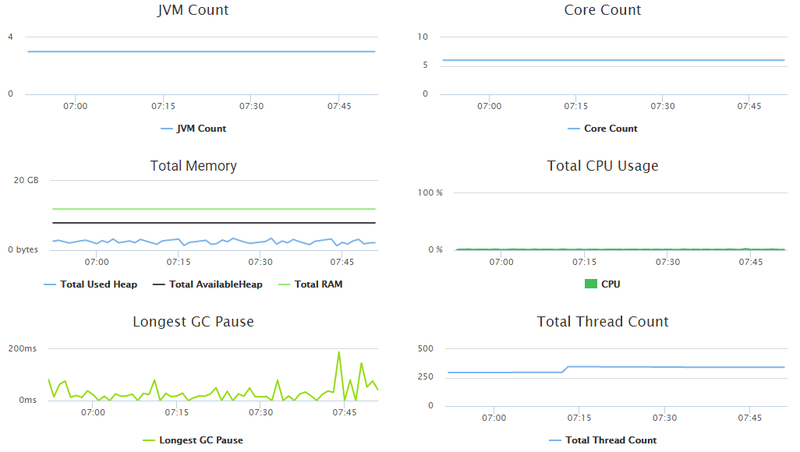 Click on Overview > Hardware and you will see your hardware utilization across JVMs. The Transactions tab will show you the individual requests made to your app and the full performance details for each. Here you can click on Slow Call Traces to see the slowest calls to this request and see down to the exact line of code what caused this particular call to be slow. 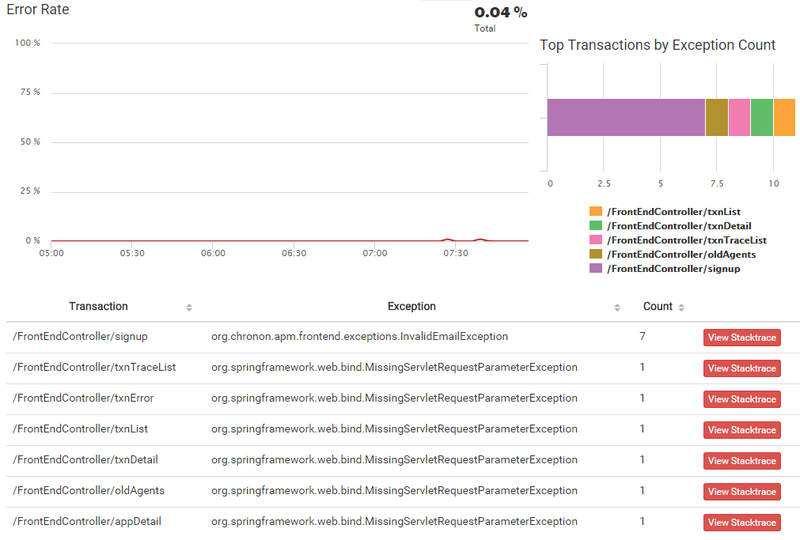 The Exceptions tab shows all the uncaught exceptions in your app and allows you to see the stack trace of each one. There are lots of other functionalities too, eg the Database and REST Services tab allow you to see the calls to the database and outgoing REST services. The JVM Stats tab shows individual JVM level details. The Environment tab shows the exact version of all the libraries and app servers used in your environment. Using DripStat on Jelastic allows you to see how your app is performing and optimize the right piece of code to gain the maximum benefit from your Jelastic deployment. Since DripStat also offers a free version, you can connect all your environments to it and see your performance data. Sign up for a free 2-week-trial now to install DripStat on Jelastic!